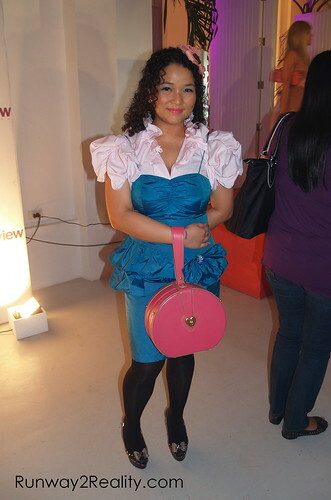 Mich Dulce has been named this year’s winner for the International Young Creative Entrepreneur (IYCE) award for Fashion. Mich faced stiff competition from amongst young forerunners in the fashion industry but her unique creativity and international outlook gave her an edge over the other shortlisted candidates. A permanent fixture in the fashion scene since 2001, Mich has studied extensively in the best fashion schools around the world like Central St Martins and London School of Fashion in the UK and the Fashion Institute of Technology in New York. She has also had the opportunity to intern for such big names in fashion like Marjan Pejoski, Jessica Ogden and Susan Cianciolo. Since launching her own label in 2001, Mich has established a successful brand recognised for its handmade, exquisitely moulded hats, which are seen in boutiques in London and around the world. Mich’s winning proposal, which sets out to connect British designers with Philippine textile manufacturers to develop new materials and hat designs, stood out for its understanding of both creative talent and the market. Mich hopes that by involving the manufacturers in the creative process, new skills will be developed and sustainable jobs created. The proposal also places the UK’s fashion industry at its centre, providing opportunities for British designers to work with new markets. 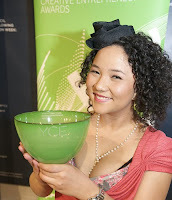 The IYCE win is just one of the many accomplishments Mich has tucked under her belt. In 2002, Mich was a finalist for the Paris Young Designer’s Competition and 1st runner up in the MEGA Young Designer’s Competition. In 2004 she was nominated for Revolutionary Designer of the Year at the MTV Style Awards, and in 2007 she won the Fashion Designer of the Year Award for Streetwear at the MEGA Fashion Awards. The overall winner of the UK competition will receive grant money of GBP 5000.00 to be used on a collaborative project with the British Council.